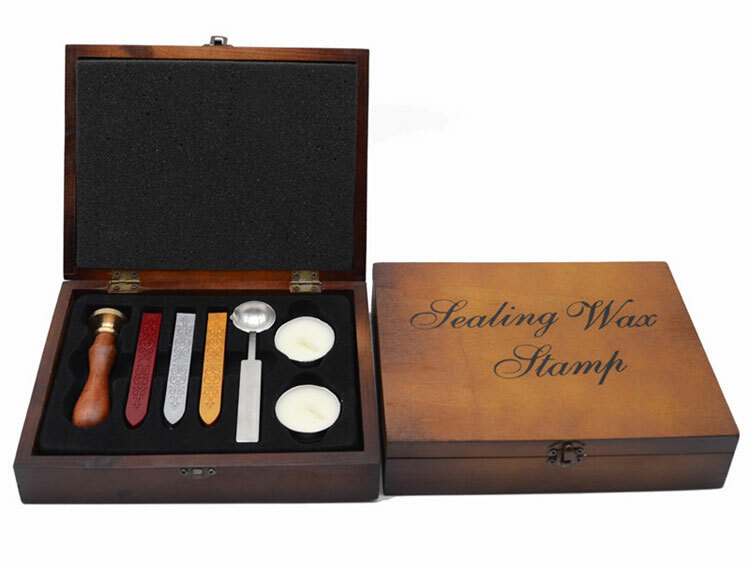 This wax seal stamps kits include 1 custome wax seal stamp, 2 tealight candles, 3 sealing wax and one sealing wax spoon. 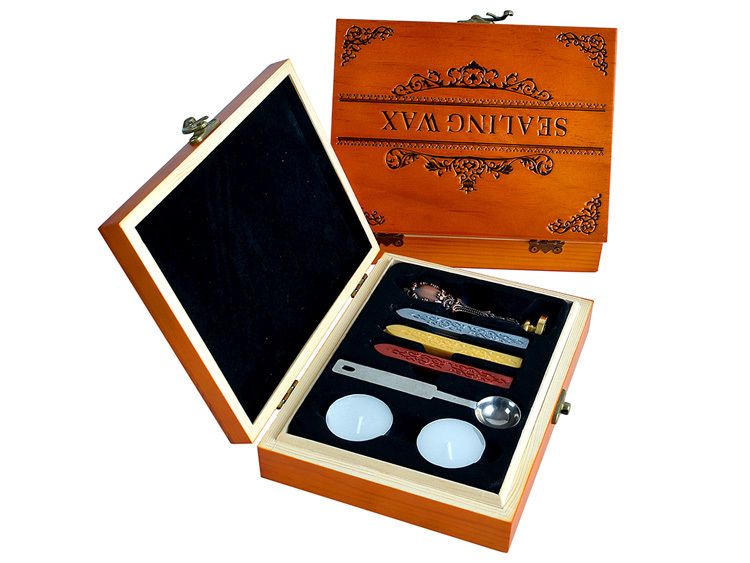 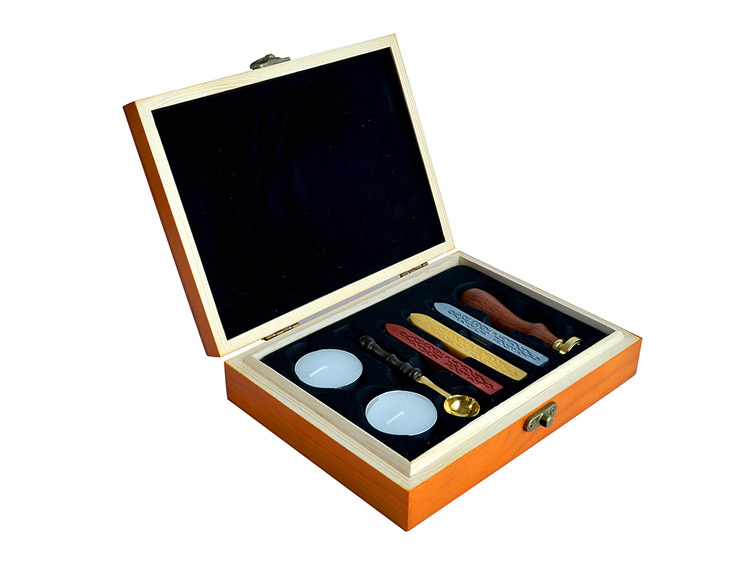 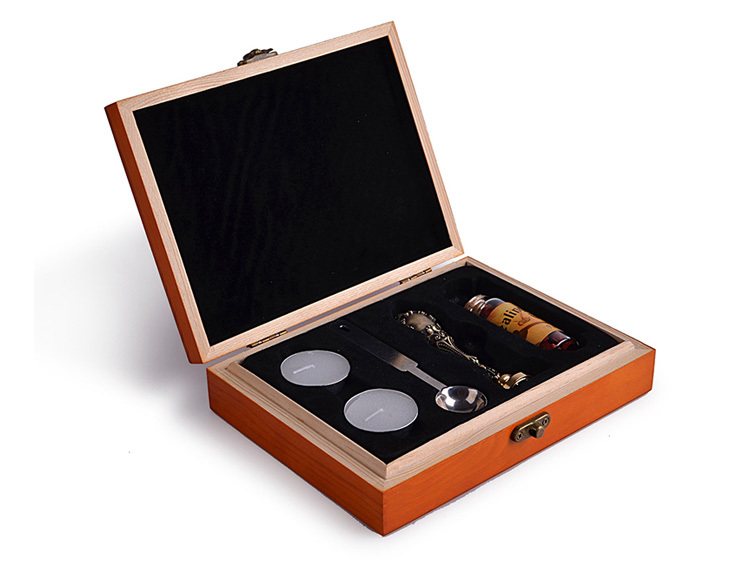 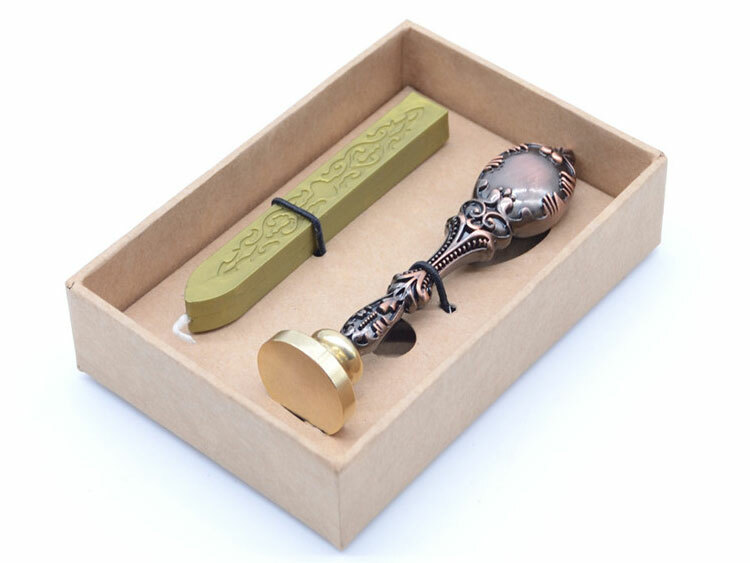 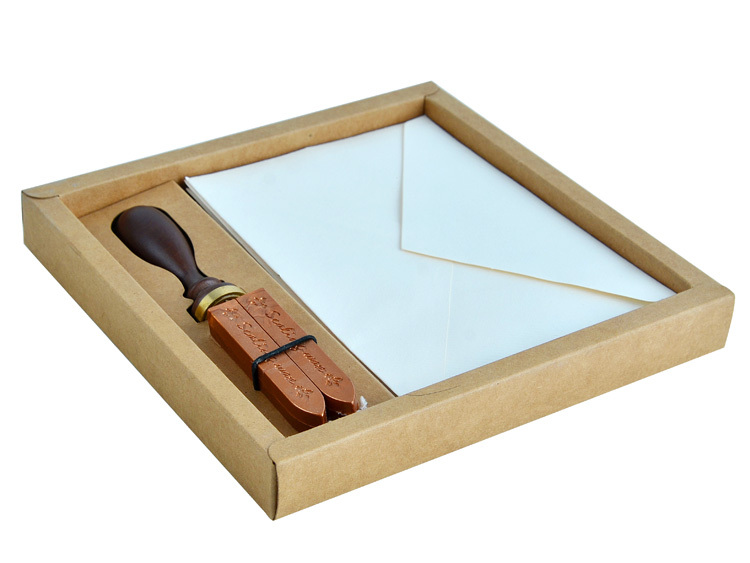 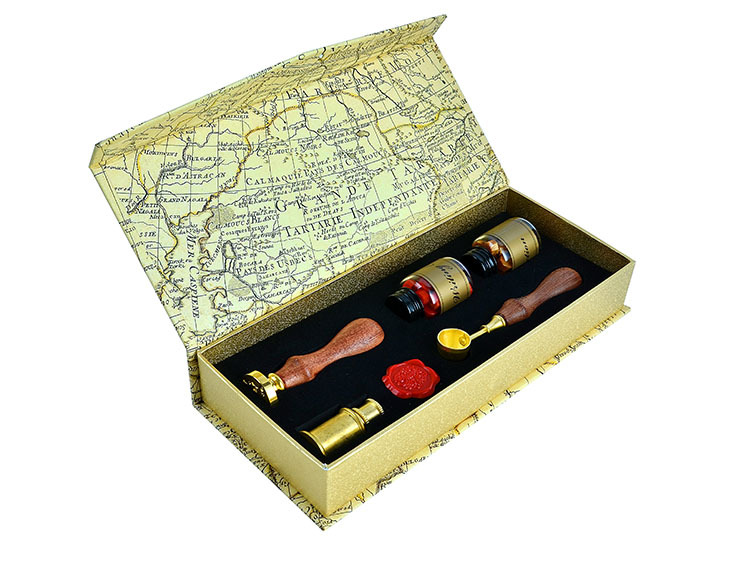 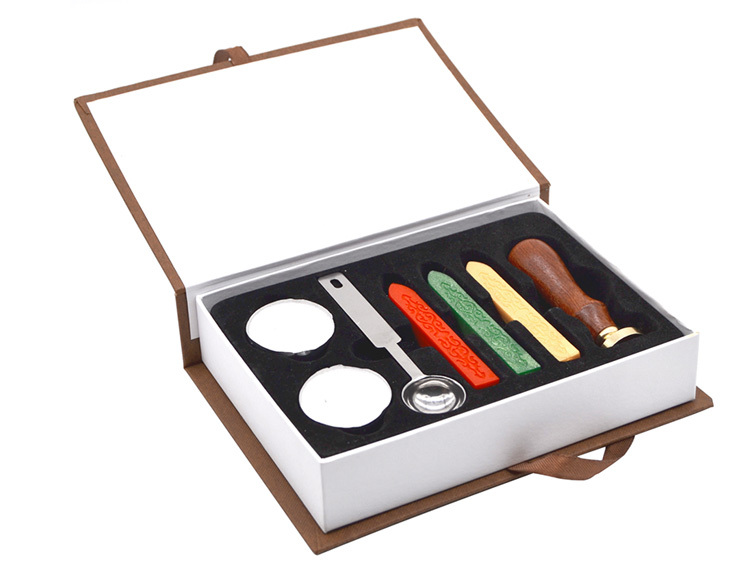 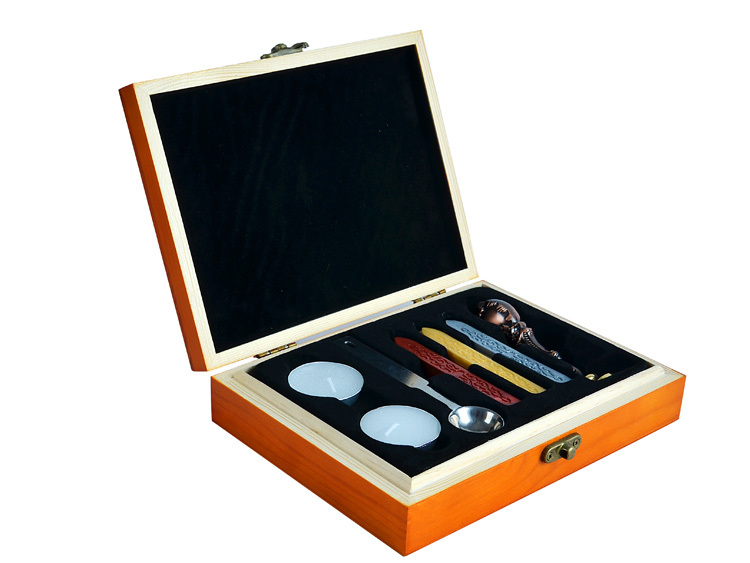 This wooden box sealing wax gift set include 1 custom wax seal stamp, 3 sealing wax, 2 tealight candle and one sealing wax spoon. 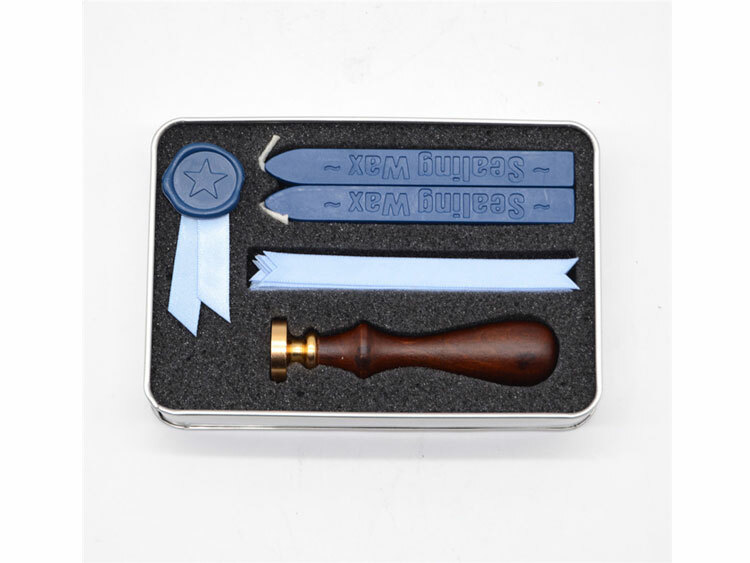 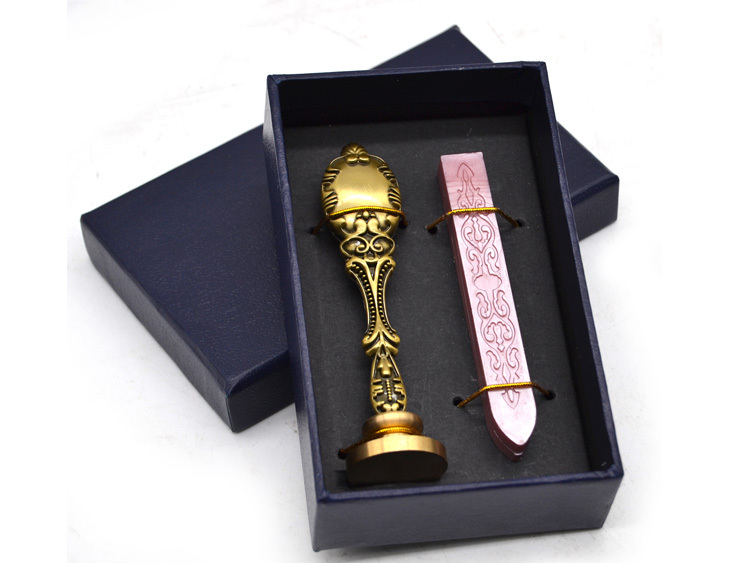 This type wax seal gift set widely used in wedding,gift,DIY and stationery.